National Social Security Month is celebrated in April and is dedicated to educating you about Social Security programs and services. From programs that help support you through life’s journey, to services that help put you in control, to systems that help protect what is important to you, Social Security is committed to helping secure today and tomorrow for you and your family. After you have viewed your earnings history for accuracy, confirmed you have enough work credits to retire, and determined the best age to retire, you can get started on the next phase of your life right away by retiring online! It is fast and easy at www.socialsecurity.gov/retireonline. 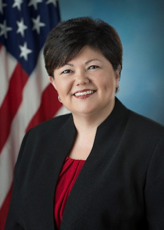 Rose Mary Buehler is Social Security Regional Commissioner in Atlanta, Ga.